Thank you for checking out my Collagen Peptides Paleo Diet Friendly Protein Shake by Sports Research Review. I hope this video helped you guys out. 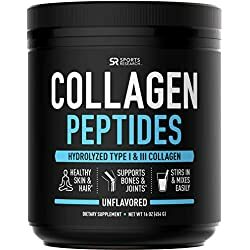 The truth about collagen peptides, including my before and after pictures after using collagen peptides for 3 months! Also sharing my review on Vital Proteins.